The Supreme Court today ordered live telecast of the floor test in the Karnataka Assembly where Chief Minister B S Yeddyurappa has to prove his majority. The floor test is scheduled for 4 pm. 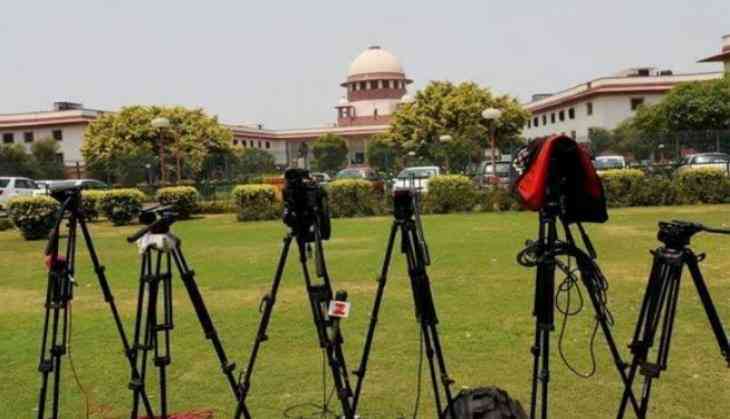 "Live broadcast of floor test will be the best possible way to ensure transparency in the proceedings," a bench comprising justices A K Sikri, S A Bobde and Ashok Bhushan said. The bench also made it clear that no other item in the agenda shall be taken up during the trust vote. ditional Solicitor General Tushar Mehta, who was appearing for the Karnataka government and Governor Vajubhai Vala. After the ASG's statement, senior advocates Kapil Sibal and Abhishek Manu Singhvi, appearing for Congress-JD(S) combine, which had last night filed a petition challenging the appointment of BJP MLA K G Bopaiah as pro tem speaker by the governor for conducting the floor test, did not press for the prayers. In the order, the bench said, "Though a number of prayers have been made in the application, it was not necessary to go into all the prayers in view of the statement made by Mehta that there will be live telecast of the proceedings. "We may place on record that statement of Mehta is that there would be live telecast of the proceedings of the legislative assembly in respect of the floor test," the order said. During the hearing, which commenced at 10:30 am, the bench termed as "fair" suggestion of the Karnataka governor's counsel that floor test be telecast live. Opening the arguments, Sibal said as per convention the senior-most MLA should be appointed pro tem speaker. He said the governor has very limited discretionary power in appointing pro tem speaker and "we would have no objection if pro tem speaker only had to administer oath to the MLAs, the problem is here he is also holding the floor test". The senior lawyer said appointing the senior-most lawmaker as pro tem speaker has been a practice in place in commonwealth countries. However, the bench shot back "there have been earlier instances where senior-most MLA has not been appointed as pro tem speaker". "If you (Sibal) are casting aspersions on the pro tem speaker then we will have to issue notice to him and postpone the floor test," the bench said during the hearing and added "How can we direct governor to appoint pro tem speaker.